Designed by Todd Anderson at The Cape Town Toiletry Company, South Africa. 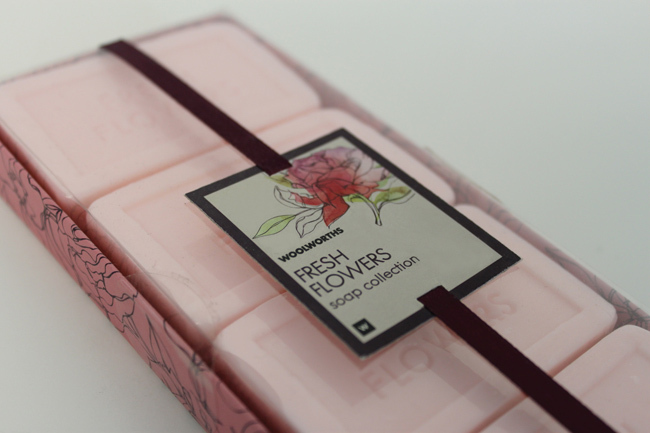 Todd Anderson, Creative Director at The Cape Town Toiletry Company, worked closely with the client in the development of the Woolworths Fresh Flowers bath and beauty range. 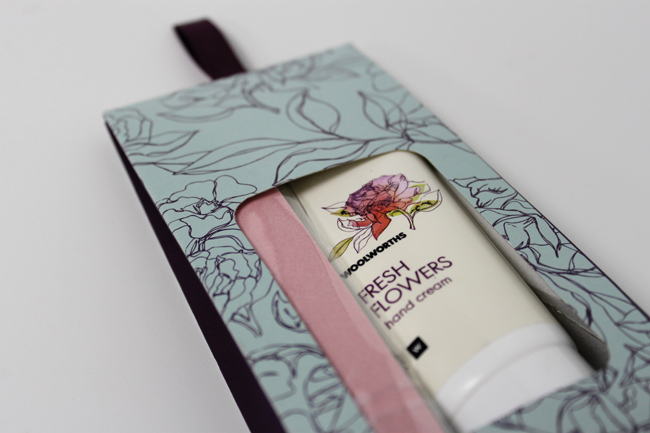 Primarily produced as gifting for Mothers Day, a vibrant floral and illustrative style combined with modern packaging was used to appeal to a wide demographic of woman, but also to advocate longevity beyond the celebration period. 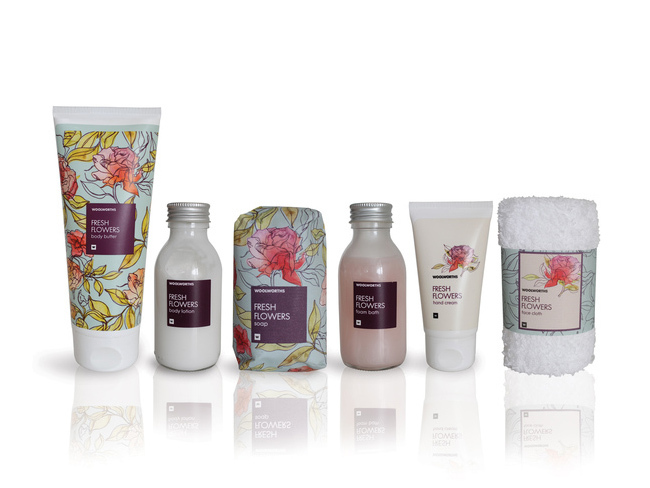 The products were amongst the first to adopt the clients new corporate branding whilst also adhering to their good beauty principals of using packaging made from recycled fibre and well managed forests. 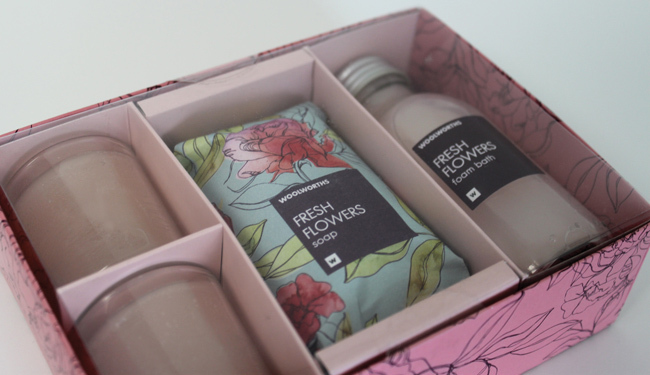 When engineering the constructs and packaging, Todd chose folded carton box technology and to omit the box lids in place of PET windows to give the product a stunning shelf appearance. 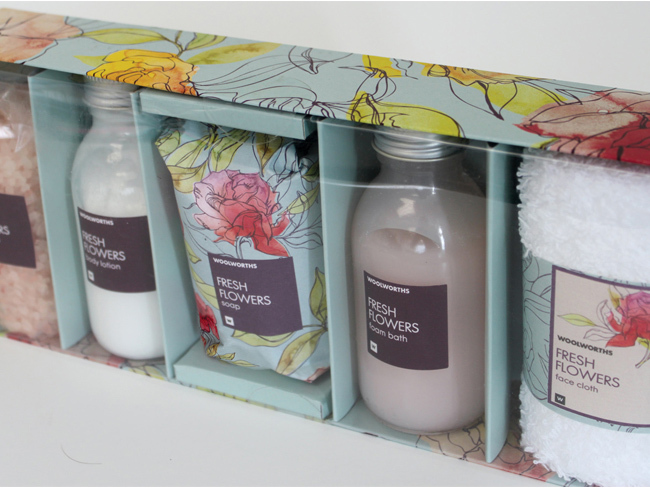 Glass bottles were used to give a quality feel and the product title and description framed within a purple panel to ensure their prominence against the designs bright backdrop.